I love sports. I'm the type of person who always reads the sports page before reading the world news. I've always enjoyed what it provides for me, whether it be the theatre involved with watching a big match live or on TV or the solitude that running brings to me and my collective sanity. Once I found out that a living could be had in this industry I dived head-long into it, getting my masters in Sports Administration and doing an internship in Australia. And despite two very extended job searches in between I got my chance to continue my sports education by working in two very different areas. During both of these jobs I got a better idea as to what I wanted from a job moving forward and what makes me happy not only in work but in life. This trip has continued to help formulate those ideas and has me thinking of where to go next upon our return to the States. But for most of this year I've enjoyed sports again as a fan (you tend to enjoy it less when it's your business). And when you're traveling the world, that involves football (soccer to us Yanks) and more specifically the European Cup competition (aka the Champions League) where the best of Europe duke it out for the title of Best Club Team in Europe. After following the competition throughout the year (including getting up at 2:30 am in China to watch Chelsea v. Barcelona) and enjoying the highs and lows of the season I was very much looking forward to watching the final. FC Barcelona versus Arsenal FC. Two historic European clubs both hoping to shed their underachieving labels with a big victory in Paris. Spain v. England. As we were both psyched for the match, Becca and I planned on getting up at 6am NZ time to watch the final. Luckily we were in Dunedin staying with our friends Kevin and Milyn (and their adorable, precocious son Isaac) so we would be able to watch the game from the living room (where we were sleeping) without bothering anyone. Cut to the morning of the match. Or more specifically 4am where both of us are inexplicably wide awake and cursing our insomnia. As we were laying there, we heard Isaac start to cry. Figuring that as she was awake anyway, she might as well try and let Kev and Mi sleep, Becca got up, picked up Isaac and brought him to our bed where he stayed surprisingly quiet and mellow. Leading up to the match, I'd contemplated doing another running diary for the CL final. Instead I found myself more than happily occupied doing my best to keep Isaac busy and not waking up the house. Over the past few days I'd been working with him to "kick the ball"-- initially as an effort to keep him from throwing the ball around the kitchen but over time he seemed to be enjoying it more and more. As the CL final started, Isaac sat down and immediately uttered "kick the ball hard". Smart kid for 20 months. As the match continued to build in intensity, instead of finding myself more and more sucked in, I instead found my gaze staying with Isaac and interacting with him and keeping him entertained. Suddenly the interest I had in this particular sporting occasion, one I'd been looking forward to for weeks, dissipated and was instead replaced with a pure joy of interacting with this little bundle of wonder. He's not my kid but I found myself still feeling and interacting like he was mine. In Minnesota most of our friends have kids and we've seen them develop over time and I've done my best to play the cool Uncle. 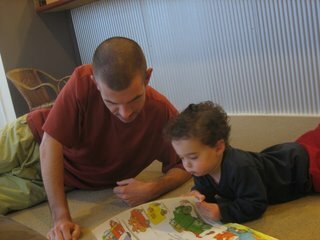 But watching this match in New Zealand gave me the first feeling that I was playing the role of Dad. You know what? It felt good. I suppose this means I'm a lot more ready for fatherhood than I thought. Or maybe I'm not; I'm constantly concerned about whether I'm going to be a good dad. Whether my skills as a "cool Uncle" will translate into being a good role model for my kids. I've just finished reading "What Should I Do With My Life?" by Po Bronson. The book consists of stories from various backgrounds and have to do with people who have made an effort to change their lives and do what makes them happy. Professionally I'm not sure what the answer is going to be; sports has made me happy in the past but I'm also going to be open to different opportunities upon our return to the states. However, personally I'm looking very forward to the highs and lows that have to do with being a dad. I realize it's not all roses but over two hours on a sleep deprived Thursday morning I found out it was definitely the thing for me. 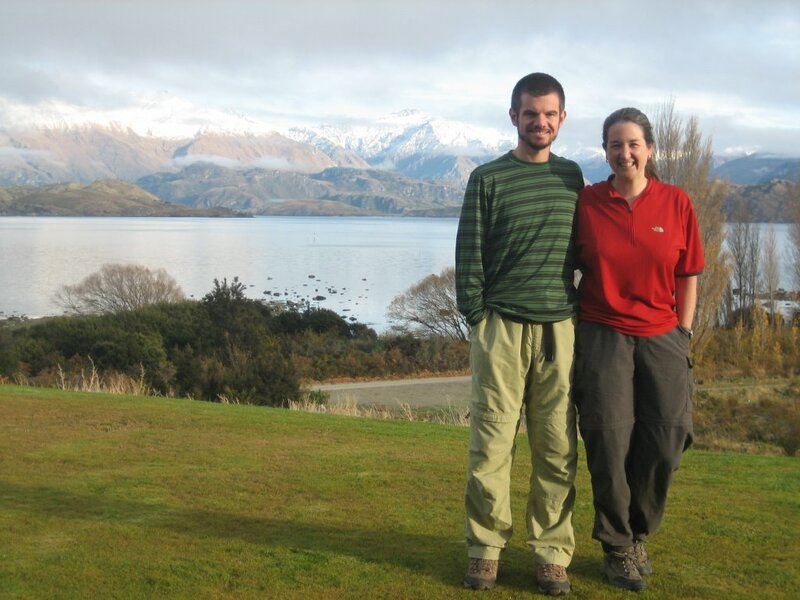 New Zealand is known for their adventure seeking activities. 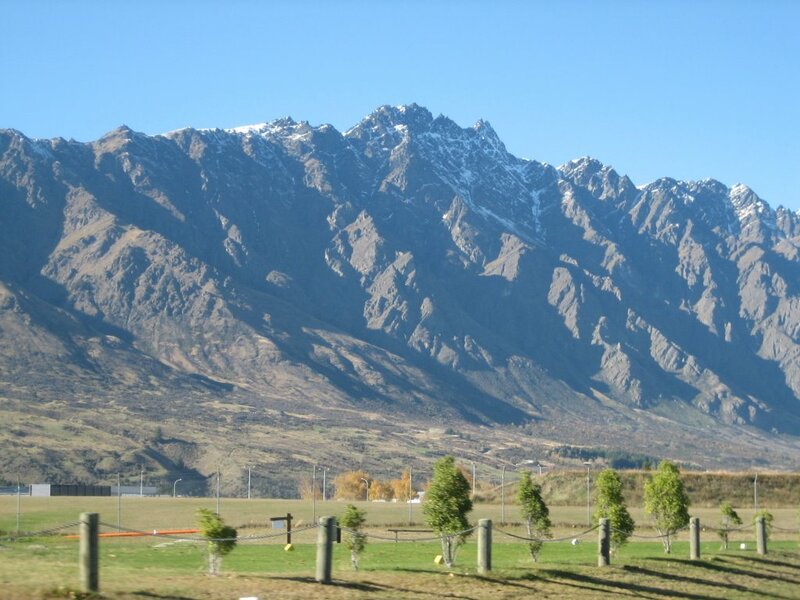 Whether it's skydiving in Wanaka, doing any sort of various X-Game activities in Queenstown or Sea Kayaking along the various coasts, Kiwis like their thrills by the second instead of the minute. During our visit to Rotorua I elected to check out the latest in Kiwi adventuring, Zorbing. 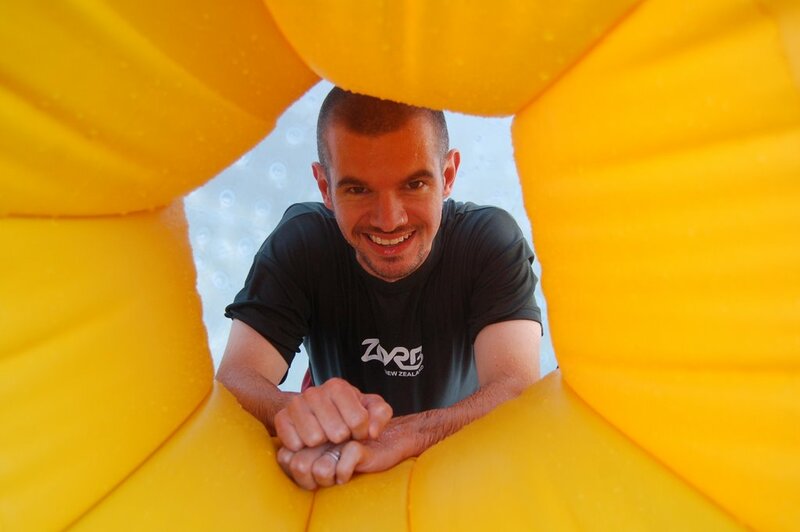 Zorbing is a Kiwi invention (to learn more about it check out their website). I'm guessing a few pints were involved since Zorbing pretty much entails putting yourself in a plastic ball and either being strapped in (harness zorbing) or dumped into a small puddle of warm water (hydro zorbing) and pushed down a steep hill. Due to some dodgy wind conditions, the harness zorbing was out of the questions so I changed into some sweet stylish clothes and headed up the track to give it a go. In short, the sensation is a cross between being in an anti-gravity chamber and a cat in the dryer. Of course, being a person who finds a cat in the dryer humorous, I enjoyed it so much I had to do it twice, taking advantage of some good advice on the latter run to really get some serious speed going. Tried to talk the wife into it but she wasn't budging. It's tough to describe it much more than that. The pictures do a much better job of telling the tale. In short though I was able to truly be the hamster. We've just spent the last four days in a little slice of paradise. 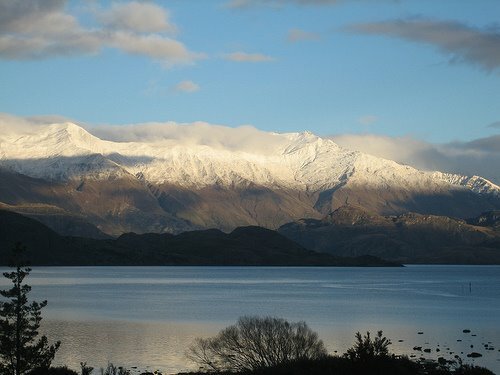 It's name is Wanaka, New Zealand. The town of 4,500 is a holiday town for New Zealanders and you can tell. Despite a growing population, Wanaka has a much more relaxed and homely feel compared to the cosmopolitan high adrenalin ambiance of Queenstown. Lots of cool shops and most importantly plenty of places to enjoy the breathtaking scenery. 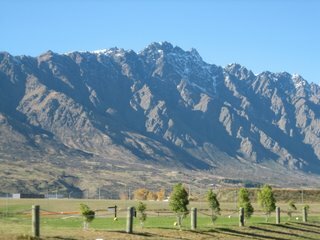 The South Island is known for its natural beauty. Pretty much you can throw a rock and hit a beautiful place, but certain places stand out and are celebrated even more. 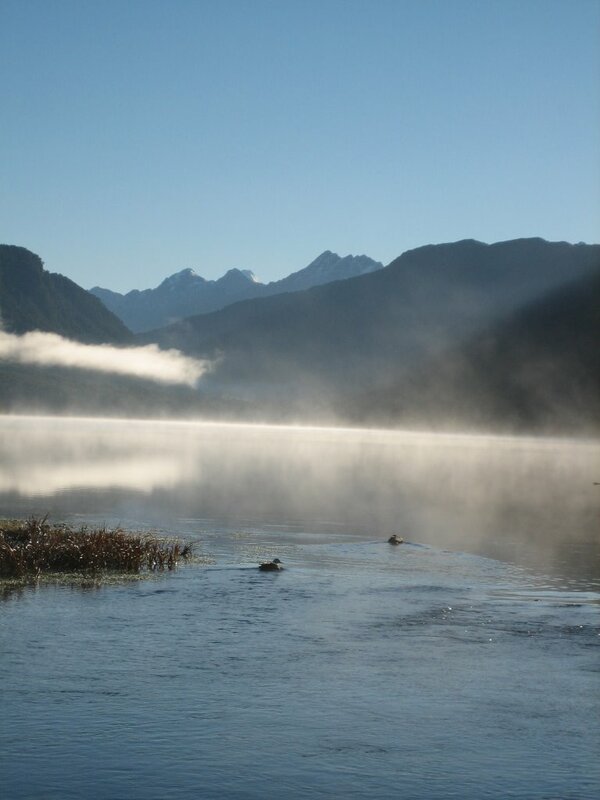 Fiordland (they don't believe in 'J's' over here) National Park is one of these places, comprising of mountains, temperate rain forest, serene lakes, red beech forest, gorgeous valleys, and of course, the fiords themselves. 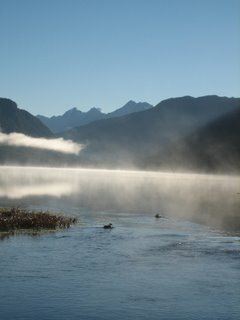 The two most well known and well touristed are Doubtful Sound and Milford Sound. Since Doubtful Sound was more difficult to get to and we had limited time, we decided to make the trip out to Milford Sound. We were able to grab a couple of spots on Real Journey's Nature Cruise, which was an hour longer and full of much more information than RJ's (and all the other companies') scenic cruises. The nature cruise had a naturalist/geologist on board giving a running commentary and answering individual questions and spent more time looking at all the sights. Like in the Norwegian fjords, we found ourselves out on the water looking up at towering peaks. At its most dramatic, the glaciers had carved out a path that went down 900 feet below the water and stretched up 4,500 feet above our heads. It really was spectacular. The cruise continued out of the sound into the Tasman sea, where if we continued straight, we would have ended up a couple of minutes (those are subunits of degrees) south of Tasmania. Though it was a beautiful day there was an impressive swell as soon as we left the shelter of the Sound. As the passengers all held on tight to the rails, lurched across the deck at the whim of the waves, or focused on not throwing up (and happily Brian and I found ourselves only in the first two categories, not the third), I had new found respect for Captain Cook and the others who travelled those seas in search of new lands. 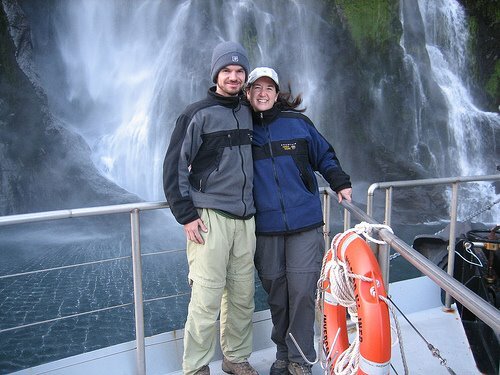 Despite the title of the cruise, we didn't see much in the way of wildlife (with the notable exception of a couple of fur seals that let the boat come right up next to them and then proceeded to show off), however the Sound is a fascinating and rare place in that area. Basically, it provides a deep water environment in much shallower water than usual. When the rain pounds the Sound, the water runs off the cliffs full of minerals and nutrients and soil and creates a murky layer on top of the salt water in the Sound. Sometimes this layer can be 18-20 feet deep (though when we where there it was much much less, as it hadn't rained in a week or so). This murky fresh water grabs all the light so that in the salt water layer it is DARK DARK. Thus you get a bunch of creatures that ordinarily would be much deeper living closer to the surface where they are easier to study. It was a great day: beautiful weather, awe-inspiring scenery, informative commentary, a gorgeous drive there and back....definitely a recommended activity for those in the area. Sorry no Dennis Miller jokes here. Just a quick update from Dunedin, a cool university town on the south island. We're here to visit some close friends (more on that later) and to meet Becca's Mom! She arrives tomorrow morning and will spend the next three weeks exploring New Zealand with us. Expect updates to be spotty for a while (though they will happen sooner than later). 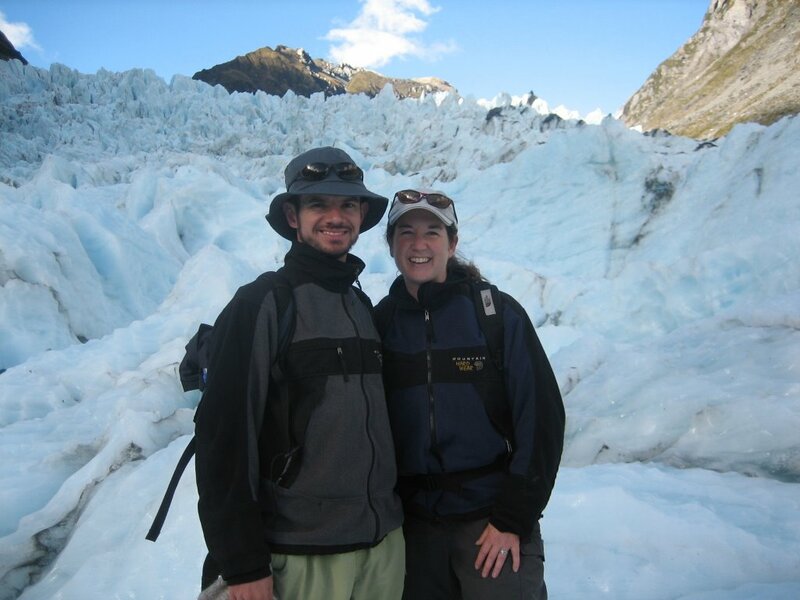 To keep you occupied we have posted entries from our hike on Fox glacier as well as a brief photo montage of "Middle Earth" and put up a ton of new pictures on Flickr, including those on Fox Glacier, New Zealand scenery, and Milford Sound. Wednesday. Hump Day. When I was at work it was my favorite day; by the time you left work it meant you were more than half way home for the week. (At least in theory). On the trip, actual days have a lot less meaning as the only time days of the week seem to come into play is if something is closed or you've got to be someplace as a specific time. What does this have to do with our trip to Fox Glacier, New Zealand? Honestly, not a whole lot. But as we sat at the high point of our day trek onto the Fox Glacier, I looked at my watch and thought to myself that this was a much better way to spend a hump day than sitting at my cube plugging away. I'm going to have to keep memories like this fresh in my mind for when I eventually come back to the working world (I refuse to call it the "real world" because every day we live is real). But what memories they are. 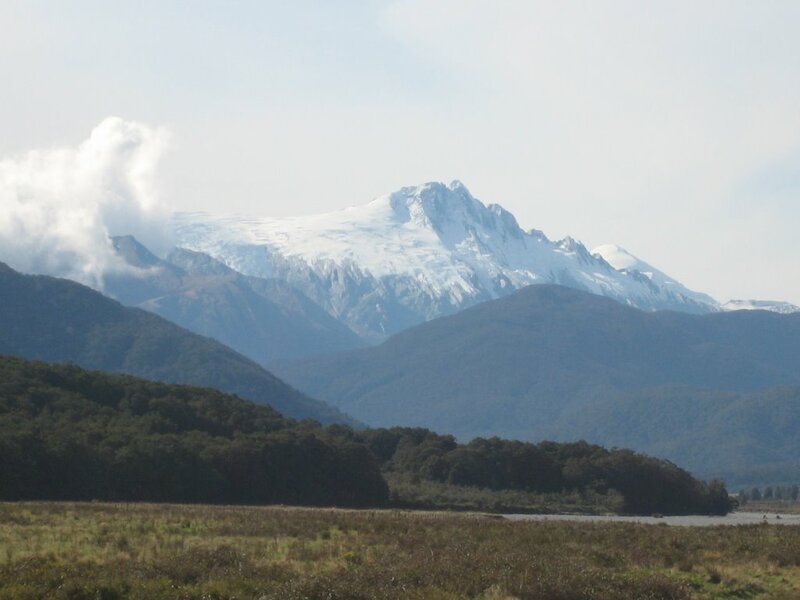 Along the west coast of New Zealand's Southern Alps lie two of only three glaciers in the world that come down into and through temperate rain forest: the Franz Josef and Fox Glaciers (the third one is in Argentina). Though we had heard good things about both, Franz Josef was supposedly a bit "more commercial", which meant there were more companies bringing people up on the ice and it was more expensive. 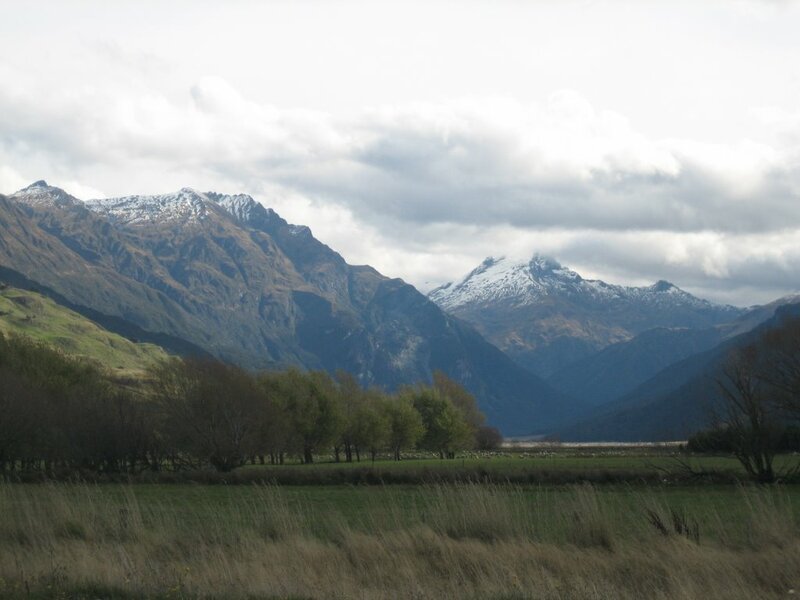 Combine that with the facts that we were impressed with Fox Alpine Guides and we had heard that Fox the town was quieter than Franz Josef and we were Fox-bound. Of course this being New Zealand, Franz Josef being busier/noisier meant that the township consisted of four blocks instead of the two in Fox. Not quite the Aspen-lite we were imagining. However, Fox Glacier lived up to all our mental images. As I mentioned previously, we elected to do the full day hike. The heli-hike sounded cool but was way too spendy and we really wanted more time on the glacier proper so it was a pretty easy choice in the end. The science of the glacier is very interesting. The glacier itself is constantly both advancing and retreating with the net gain or loss dependant on the season. This movement creates great stress on the ice and because of this, the guides deal with a continually changing environment. Our guide told us that the trails they take people on never stay the same for more than a day or two. As a result, they are always seen with their pick axe in tow (better to cut a couple of foot hold/steps for the dicey spots) and end up making things up as they go. The guides from Alpine Guides were great, very informative and willing to answer all sorts of questions of varying intelligence from the group while making sure that people didn't wander off towards a deep crevasse. The full day hike was a great opportunity to fully explore the glacier. Despite an area known for its rainfall, the weather gods smiled on us and provided a beautiful sunny day. 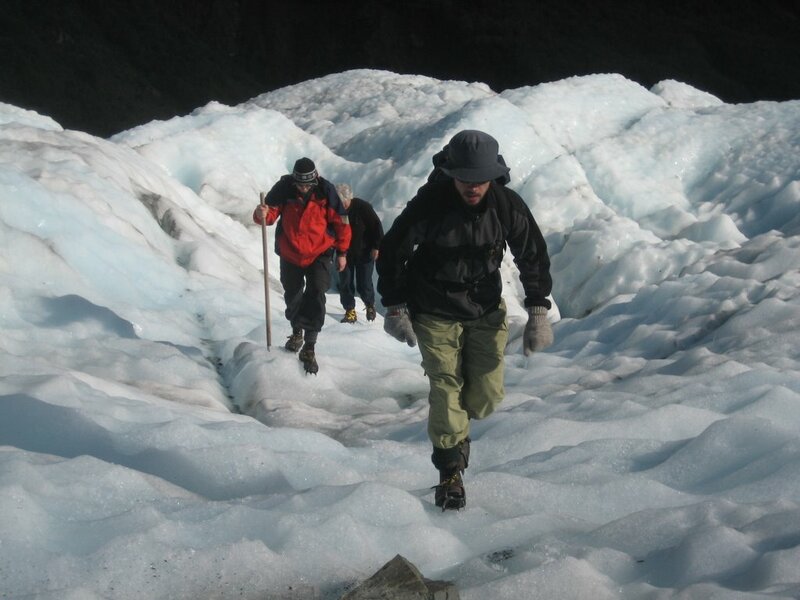 We started off with a hike through the rain forest to the edge of the glacier where we slapped on some crampons (my first experience with them) and then headed up onto the ice. The crampons were ok to get used to once you mentally adjusted to the fact that you could just dig your foot into the ice at any angle and take the next step without falling (and you remembered to walk with your feet about a foot apart so that the crampons didn't catch on each other...5 bucks said Becca wasn't going to make it through the day remembering that!). It did make for some tricky mental moments on downhills but after you got used to it there was a tremendous sense of freedom/security. One of the great things about the full-day hike over the 1/2 day one is that you are quickly taken off of the baby-trails on the ice (the places where the guides have cut every step) and set off cross-country. Jason the guide was always looking for interesting crevasses to walk us through, ice caves to explore, slopes to climb up/down, or places to try and get across however possible (cool pic to click on). The walk culminated in a fantastic view of the lower ice falls, an intimidating, beautiful mass of jagged ice, some pieces six stories high. If you want to see more of our little adventure check out all the cool pics (including Becca's best Georgia O'Keefe homage) we took on an amazing day on the ice. Checking in after our first week in New Zealand. Brian covered our entry into Christchurch quite nicely in the last entry. Since then, we have developed into a nice pattern of spending days hiking, driving a little bit, exploring little towns, and cooking dinner alongside travelers from all over in backpackers kitchens. It's been a pretty nice life, actually. 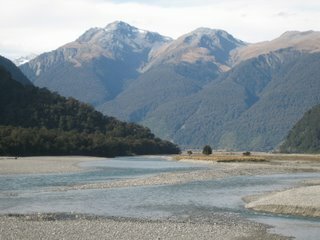 -- The quality level of the BBH Backpackers places in New Zealand has really, really impressed us. They far outclass any hostels we stayed at in Europe or Asia. (Well, with the exception of the other-worldly Mountain Hostel in Gimmelwald, of course). They're in general cleaner, they have nicer additional facilities (like hot tubs, pool tables, dart boards, free bikes, etc. ), the beds are real beds instead of feeling like army cots, and, at least at the smaller places, the owners are super friendly and nice and a great source of information. For anyone travelling more than 2 weeks or so in NZ (and wanting to stay at Backpacker accommodations), we highly recommend investing in the BBH card. Though a little spendy, you make it back quickly with room discounts, tourist discounts, and phone minutes. -- Kiwis are just incredibly friendly. I know that that's the stereotype anyway, but it's just been born out again and again and again. Any one we've asked for info or directions or anything, even at gas stations and the like has done their utmost to make sure we've got what we need. -- One of our favorite tourist stops so far was Monteiths Brewery in Greymouth. Some version of the brewery has been going since the 1800's and they produce a selection of six beers. The brewery in Greymouth only produces two of them still (evidently their parent company tried to move all the production away but a nationwide three day boycott put an end to that)but the staff of ten does everything (the office staff goes to the bottling line when needed). Just a family atmosphere. Plus they let you pour your own samples while providing you food recommendations with each. Just a really fun enjoyable experience. -- This whole driving on the left thing is just for the birds. Not only is there the constant tension of remembering where you are supposed to be (especially at intersections in town), but we must have the cleanest windshield in the county (as the windshield wipers inevitably get triggered whenever we are looking for the turn signal). Thank goodness that the roundabouts eliminate the stress of most potential four way stops. -- The New Zealand Department of Conservation has got its act seriously together. We have never been in a more efficient and well-maintained Parks and Rec environment. At every little town there is an office with every map you could possibly want, a helpful person to answer questions, and the trails categorized by location, time, difficulty, etc. And when you are on them, they are well built and maintained and very well signed. It makes the whole travelling down the coast doing random hikes strategy just a breeze. We just roll in to the DOC and ask them "so what hike are we doing today?" and they have an answer for any situation. Just amazing. -- The west coast is comprised of all these very small towns (many of which used to be big gold mining centers in their glory days) with Greymouth being the largest at 13,500 people. As Brian mentioned before, many have a distinctly small town American 1950's feel to them. It's been great to just park the car and wander the blocks, enjoying the view from the docks (most of these towns are on the coast) and looking in the shop windows. More soon, as we will hit the southern Alps with the Franz Josef and Fox glaciers!